Do you require locum staff? Are you looking for locum, full-time professionals, temporary candidates or workforce solutions, you can count on Health Staff’s resources to help you solve your unique human capital challenges. Do you require locum staff for your medical institution? Health Staff is here to assist you! At HEALTH STAFF (PTY) LTD we listen to the needs of our clients and candidates. Whether you are looking for a doctor, pharmacist, radiographer, sonographer, clinical nurse or other medical professionals seeking a locum staff provider, we put our experience, professionalism and personalized service to work in matching the right person with the right opportunity. Bringing in a locum provider when a permanent provider is absent keeps everyone happy. Locum staff will continue to see patients while you find a permanent medical profession. Thank you for registering with us. One of our consultants will be in touch with you as soon as possible! HEALTH STAFF (PTY) LTD understands your challenges and knows that, in today’s marketplace, locating and securing top talent is as difficult as ever. We offer expert recruiting solutions to meet these challenges. Our speciality is in the area of providing qualified Professional candidates; however we also permanently place highly skilled medical professionals and allied health care workers to both private and public institutions. Our clients value our service excellence and dedication to providing companies with top professionals! 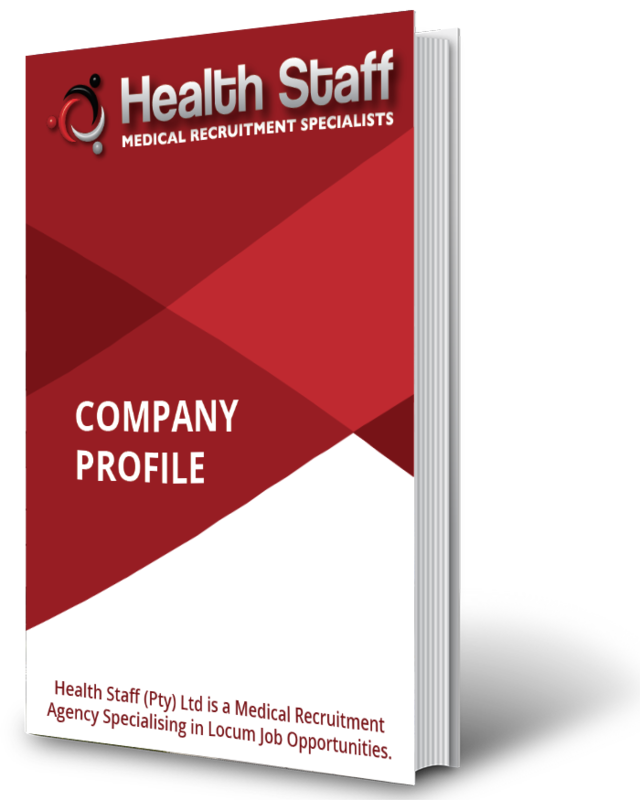 HEALTH STAFF (Pty) LTD is a leading medical recruitment agency supplying locum medical professionals and permanent staff to both the private and government health sectors throughout South Africa. With more than 3000 medical professionals registered with us, we are able to provide employers with the best locum, part-time and permanent candidates from various regions throughout South Africa.